“Upper Hutt City Council and Upper Hutt School have worked together with the community to create a new ‘Painted Environment’ celebrating Upper Hutt’s scenic outdoors and its unique culture and heritage” as shown in our mural above. To read more about our mural please follow this link. To watch a time lapse video created by artist Joe McMenamin please click here. 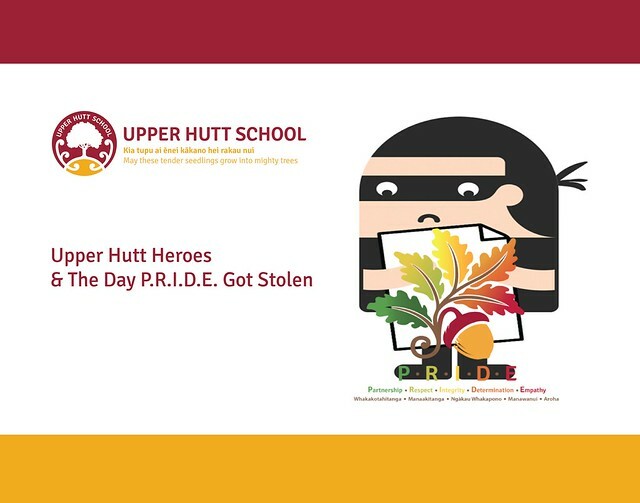 The children, and staff of Upper Hutt School are super excited to bring to you our Production for 2018, 'Upper Hutt Heroes & The Day P.R.I.D.E. Got Stolen'! 6.30pm - 8pm at Lane Park, 22 Lane Street, Upper Hutt. To order your copy of the Production DVD for $15, or a copy of the photo book for $30, please email FundraisingTeam@upperhuttschool.nz, forms are available at the school office. Orders and payments to be completed by 22 November 2018. To view a photo gallery of the production images, please click on the image below.